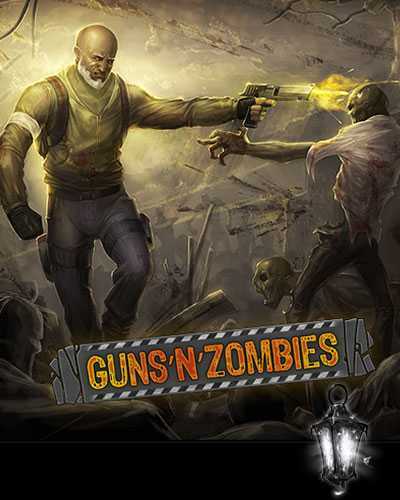 Guns n Zombies is a Action, Adventure and RPG game for PC published by Krealit in 2014. Hordes of zombies are dominating the whole city. Most of the people have been infected. Your team is the last survivors but you don’t want to leave the city like this. Prepare your guns and equipment for removing the zombies on the map. A virus have been pervaded the world. It has caused millions of people to become a zombie! They don’t have their minds’ controls. So, You need to wipe out the virus and kill the infected humans. Earth is in danger and you are the only heroes to rescue it. Everywhere you go, These creatures find there. Then they come less than a minute. Get ready for appealing battles and destroy them. After killing a large amount of them, Some scores will be added to the account. Go to the store and upgrade weapons, armor and etc. By upgrading them, You will have more power to fight. Also the abilities can be increased by getting experiences. Stay in team and never fight alone against hundreds of zombies. Each member at this team has a property at shooting or other skills. For start, you need to choose your character. Then customize him. Enemies come randomly to infect the whole team. They are smart enough to attack in different ways! Because of that, you cant have a specified plan to attack or defense. Just try to survive in a way you can! There are some clear areas on the map which zombies haven’t entered inside them. Team can be safe for a short time at these places. So enter them whenever the team members need to rest for some minutes in Guns n Zombies. 1 Comments ON " Guns n Zombies Free Download "